When I'm playing games that has speed involved, such as Rally games, I like to actually feel like I'm going really fast, to feel the adrenaline and to go as fast as possible. The problem is many of them don't give that impression, at least not until now! This is ' FPV FreeRider Recharged ', a pure speed in your face adrenaline pumping RC Quadcopter Racing Simulator, that is such a rush, it's better than caffeine! Now before you play, do make sure your computer is fast enough in order to be able to run these new maps smoothly. If necessary according to the developers you can try to run the simulation at lower resolution in order to get better framerate (using command line parameters as described in the manual). If you have any doubts whether it will work on your setup, please try the free demo version first. 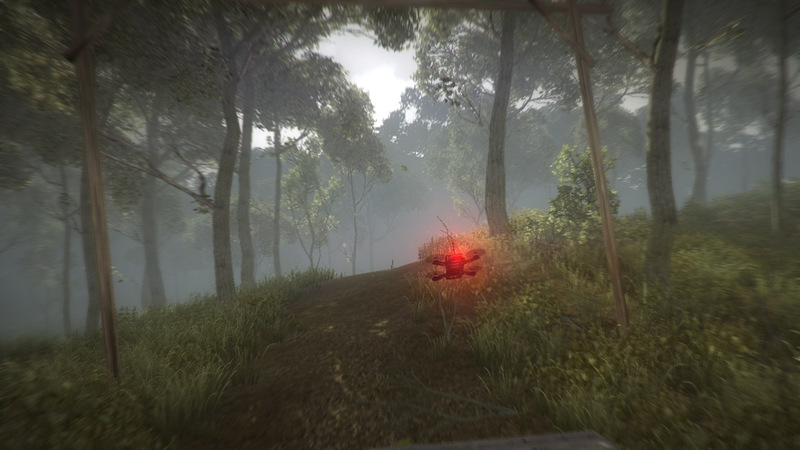 The demo contains only one scenery and a quad with deliberately rather sluggish settings. In the full version you can tune the settings freely to your liking.